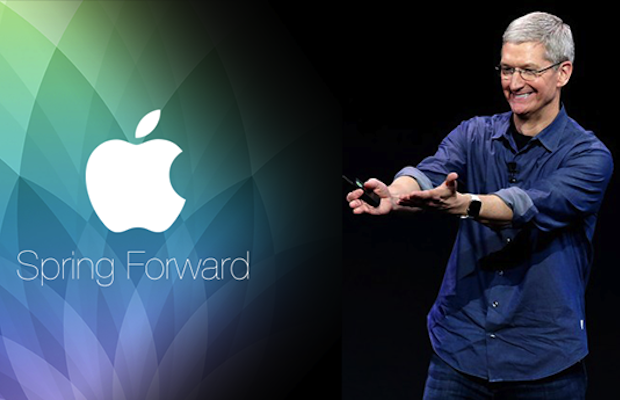 Apple made some major announcements at its ‘Spring Forward’ event on Monday. They’ve updated their existing notebooks (mostly just faster processors and increased battery life) and broadened the reach of CarPlay, which is now partnered with “every major” manufacturer. They’ve also invited customers to contribute to medical research by using their new ResearchKit. 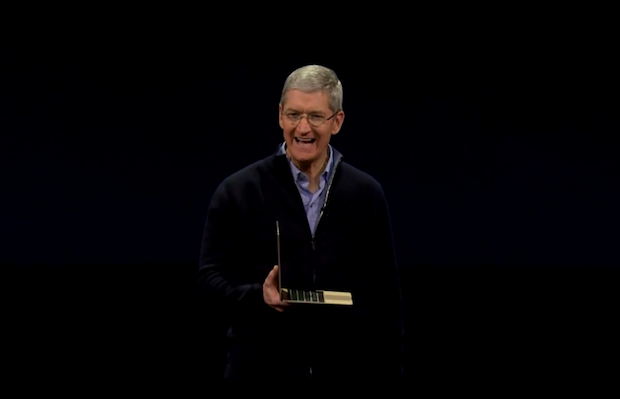 But perhaps the most groundbreaking announcements were HBO Now, their new MacBook, and of course, the Apple Watch. Apple TV has always offered users a variety of programming though Netflix, Hulu and the likes. 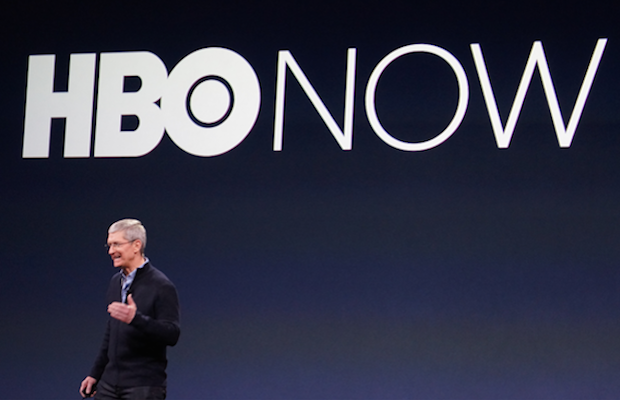 Now HBO is hopping aboard with HBO Now, a streaming service exclusive to Apple customers. But you don’t need Apple TV to access HBO’s highly-acclaimed programming; all you need is an Apple device – any kind will do. The thinnest, lightest MacBook yet, this notebook weighs just 2 pounds and measures a mere 13.1 mm at its thickest point. Other specs include a 2304 x 1440 retina display and a new Intel Core M processor, offering speeds up to 1.3GHz. And beneath the exterior you’ll find a new fan-free cooling system and extra batteries to support daylong use. Additionally, the notebook features a new ‘Force Touch Track Pad’ that can discern between a light tap and a hard click. This means that it can detect a range of pressures, providing the most accurate navigation yet. Apple also hopes to set a new standard with their USB-C, a port that supports USB, HDMI, VGA among others. Of course, while this universal connector saves room on the MacBook device, it also forces customers to purchase pricey adapters. But overall, this new MacBook seems pretty sweet. Buy on for $1299 starting April 10th. The supremely anticipated Apple Watch is finally almost here. You can purchase the wearable everyone’s been talking about on April 24th, with preorders beginning on April 10th. But what’s so special about it? 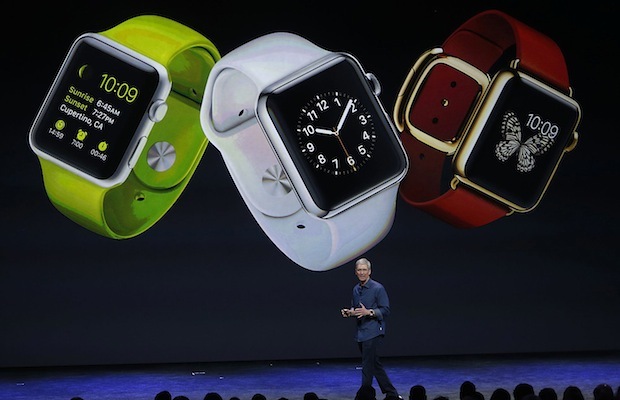 First off, users can personalize their Apple Watch from a range of faces. But that’s kid stuff. The Apple Watch also features ‘Glances’ – a swipe of the finger reveals access to favored apps like your music player, heart rate monitor, or calendar. Additionally you can send and receive messages, or call a friend using the device’s speaker and microphone. Track your fitness and learn new tricks with the watch’s new workout app, or browse the new Apple Watch app to discover the whole list of tasks Apple Watch can perform. The Apple Watch is offered in three collections: Apple Watch Sport, starting at $349; Apple Watch collection, which starts at $549; and Apple Watch edition, made from solid gold, starting at a whopping $10,000.